Thermistor damaged Check heatbed thermistor circuit is OK? Turn on the power supply and check the temperature rise, If the heatbeds temperature rises as expected. Then you can conclude the heatbed is working expected. You will want to check the other electronics or software configuration. If you are extending the wire then please check, wires capability and resistance. There is one for the 5 amp side of the power connector and one for the 11 amp side of the connector. The 11A one is what powers your heat bed(larger one.) Use a multimeter to figure out which one has a leg connected to the plus side of the 11A power connector. Once you have identified which one it is check across the leads of this one. It should read almost no resistance. If it has something like 100K then it’s probably the issue. If has next to no resistance, then you probably need to check the three legged mosfet transistor. I believe it’s the one closest to the power connector. If your lucky your RAMPS builder put a heat sink on it. It’s usually the only one with a heat sink. The RAMPS page has a schematic and should help you with your trouble shooting. Check the temperature graph, you see it is not normal - Do a PID tuning for heat bed. There are two self resting fuses on the ramps board. It’s those two yellowish things that look like large flat ceramic capacitors. You could have damaged one of those such that is can’t reset it’s self. 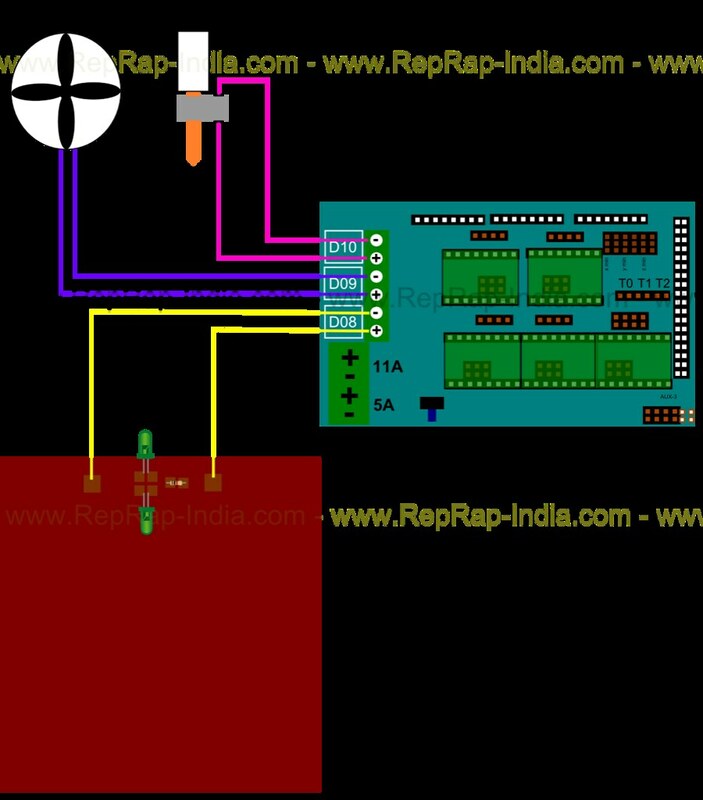 Measure the power at output, and both inputs of RAMPS, that should read 12V. How much power do the Head bed need?